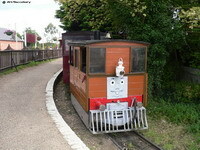 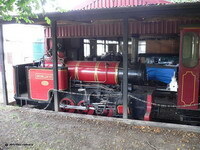 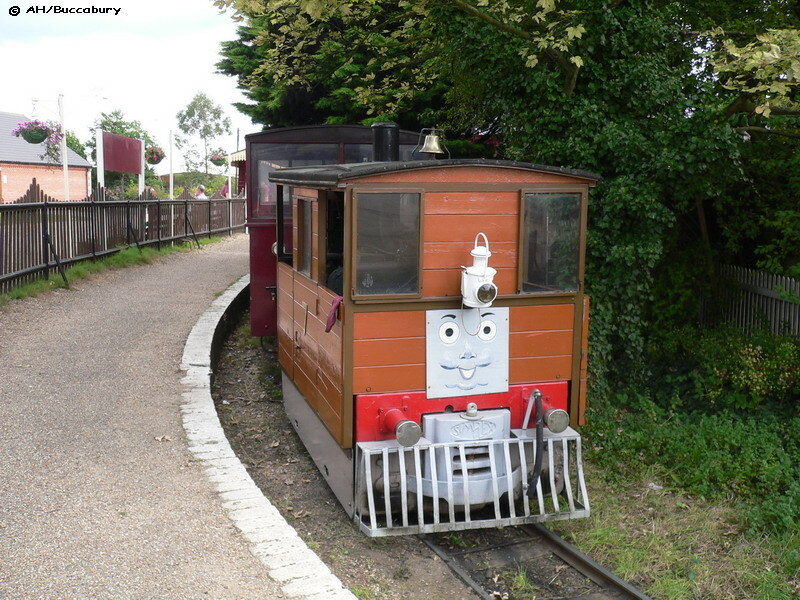 Bressingham Gardens & Steam Experience - The Nursery Railway. 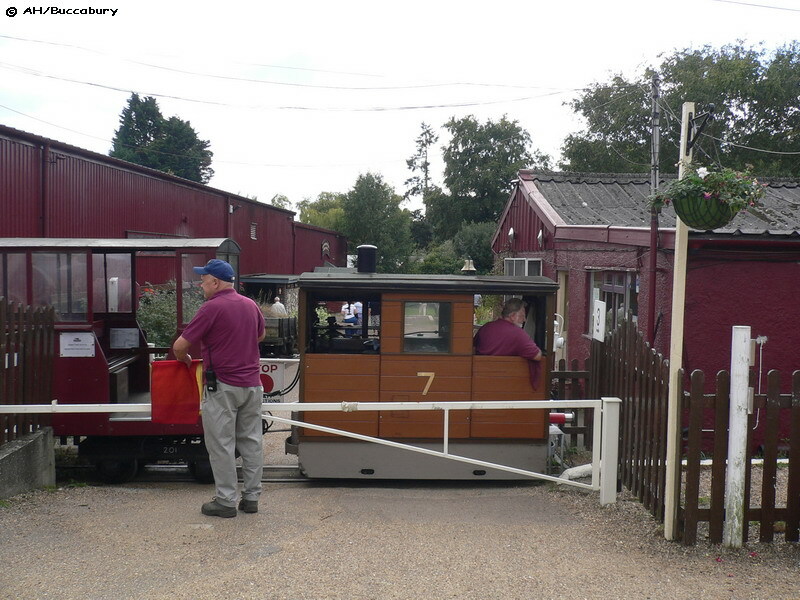 Motor Rail 'Simplex' 22210/1964 disguised as Toby the Tram Engine, crosses a level crossing to enter the station. 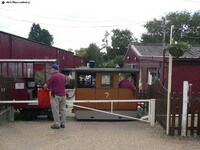 at the Nursery Railway Station. 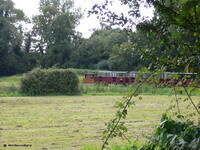 Motor Rail 'Simplex' 22210/1964 is seen trundling out into the grounds having just passed over the flat crossing with the Waveney Valley Line. 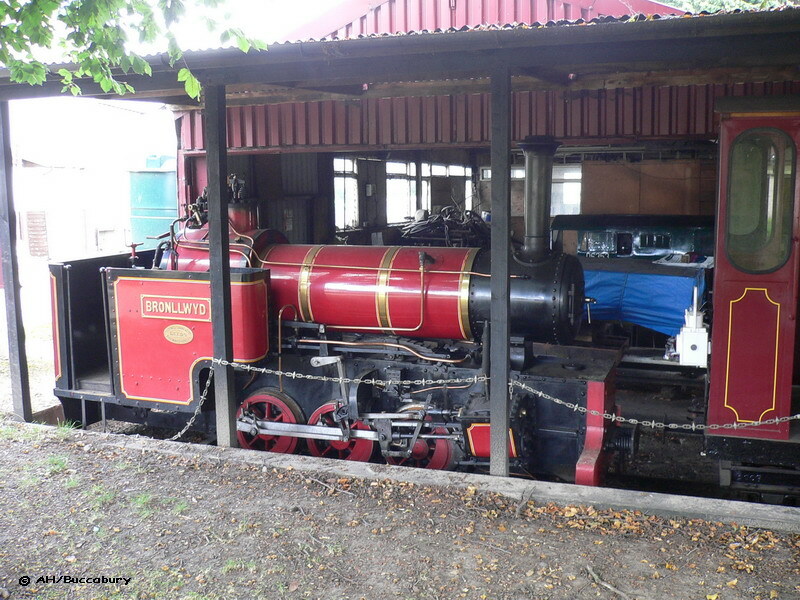 Hudswell Clarke No 1643/1930 0-6-0WT 'Bronllwyd' rests in the Nursery Railway Shed.